The odds of a federal election being decided by one vote are upwards of one in ten million. However, the fewer the votes cast in an election, the higher the chances of a tie. So while it’s unlikely that this year’s presidential election will come down to one vote, there are a number of upcoming congressional, state, and local elections where low margins of victory are more likely. Election disputes can be time-consuming to resolve and ties are not always broken in the most straightforward way, so to encourage you to get out and vote on Election Day, here are some interesting stories of votes that were too close to call. When President Johnson dismissed his Secretary of War Edwin M. Stanton in 1868, he not only defied federal law but also infuriated Congress. 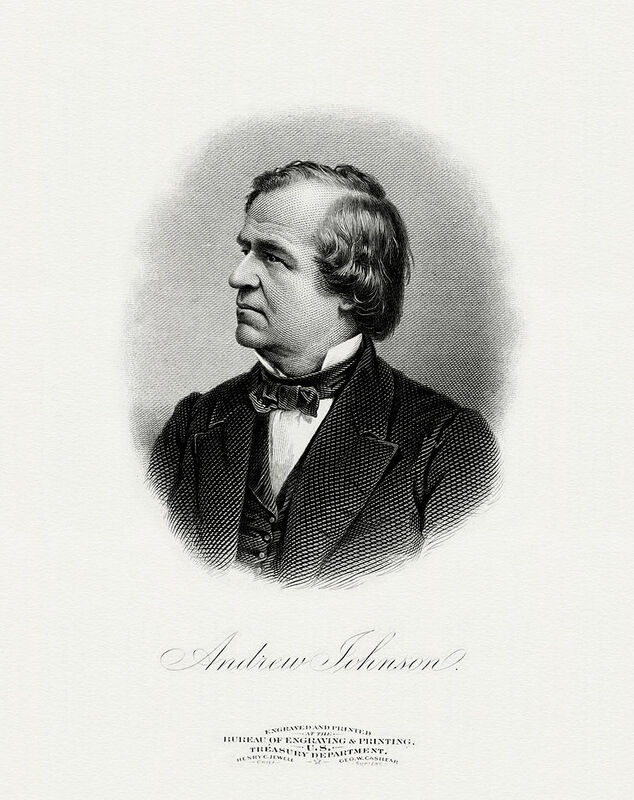 Johnson was impeached by the House of Representatives and made to stand trial before the Senate. If convicted, he would be removed from office. The Senate voted 35-19 against conviction—one vote short of the two-thirds majority needed to remove him from office. After Congress approved the 19th Amendment granting suffrage to women in 1919, it needed to be affirmed by three-fourths of the states. By the summer of 1920, only one more state was needed to ratify the amendment. In Tennessee, the amendment had been quickly affirmed by the Senate but was stalled in the House of Representatives. When it came time to vote, state legislator Harry Burn changed his mind at the last minute at the urging of his mother, allowing the amendment to pass by one vote. 3. A Tie in a Federal Election? The closest a federal election in the U.S. has ever come to a tie was in Buffalo, New York in 1910. The congressional race between Democrat Charles B. Smith and Republican De Alva S. Alexander initially ended in a tie, and a recount separated the results by a single vote. However, further investigation uncovered five more ballots, making the final result 20,690-20,684 in favor of Smith. The closest race for a seat in the U.S. Senate occurred in New Hampshire in 1974. The initial count had Republican candidate Louis Wyman beating Democrat John Durkin by 355 votes. Durkin requested a recount, which actually declared him the winner by a mere 10 votes. A subsequent recount handed the victory back to Wyman by a two-vote margin. The Senate deliberated and ultimately refused to seat Wyman. A special election was held in 1975, which Durkin won by more than 27,000 votes. 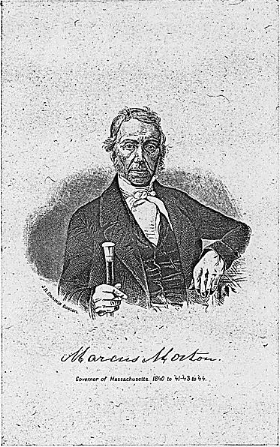 After 12 unsuccessful bids for the governorship, Marcus Morton, known as “Landslide,” finally won in 1839. The result was 51,034-51,032, giving Morton the narrowest of wins. Had there been a tie, Morton probably would not have won, as the election would have been thrown to the state Legislature, which was in the opposition party’s control at the time. Wyoming’s House of Representatives race in 1994 ended in a tie between Republican Randall Luthi and Independent Larry Call. After a recount yielded the same result, the election was settled by then governor Mike Sullivan, who wrote the candidates’ names on ping pong balls and drew one out of his cowboy hat. Luthi won, and later went on to become the Speaker of the state’s House of Representatives. In the gambling capital of the country, electoral ties have been settled at least five times by drawing cards (ties have also been settled by flipping a coin and tossing a die). In 2002, a tied race for a seat on a County Commission was settled by drawing cards. The candidates both drew a jack, but R.J. Gillum’s jack of spades beat Dee Honeycutt’s diamonds. Canada: A 2015 race for a seat in the Legislative Assembly of Prince Edward Island ended in a tie. As per the province’s Election Act, a coin toss was held to determine the winner, which ended up being the incumbent candidate Alan McIsaac. It is interesting to note that McIsaac did not live in his riding and therefore could not vote for himself. If he had, the election would not have ended in a tie. Remarkably, the race for a seat in Alberta’s Legislative Assembly the following day also ended in a tie, but in this instance, a recount put candidate Anam Kazim ahead, and her opponent conceded defeat. Switzerland: In a 2011 race for a seat on the National Council, each candidate received 23,979 votes. Swedish law states that in the event of an electoral tie, the winner will be determined by drawing lots, which was done electronically in this case. However, the Supreme Court rejected the results, stating that an electronic draw cannot guarantee equal odds. And so, the lots were drawn manually, and victory went to Marco Romano of the Christian Democrat People’s Party. Zanzibar: In 1961, the Afro-Shirazi Party (ASP) narrowly won the general election with ten seats in the Legislative Council to the Zanzibar Nationalist Party’s (ZNP) nine seats. The election came extremely close to being a tie, because the ASP won one of their seats by a single vote. In the end, party defections forced another election, and the ZNP formed a coalition government with a smaller third party. Does a Single Vote Make a Difference? The closer the vote, the more likely there will be drawn-out disputes, multiple recounts, or arbitrary resolutions. Ultimately, these stories are cautionary tales showing that sometimes one vote does matter. After all, would you want your local congressional race to come down to drawing names from a hat? Do you plan to vote on Election Day?